Letsnurture had this great prospect to design and develop Weiss Education & Research App for Financial Education. This App provides most modern highly responsive user interface which not only matches some of the leading apps but beats them in many regards. Live news feed and interactive charts are helping app user to make split second decisions and convert them into profits for them. Audio/Video lecture series and Rich formatted PDFs are helping impart highly specific financial education with the help of this application. Application is niche in that regard. It is targeted to high net worth individuals and enterprise users. Letsnurture has developed Weiss Mobile Application for both iPhone and iPad. App provides following features. 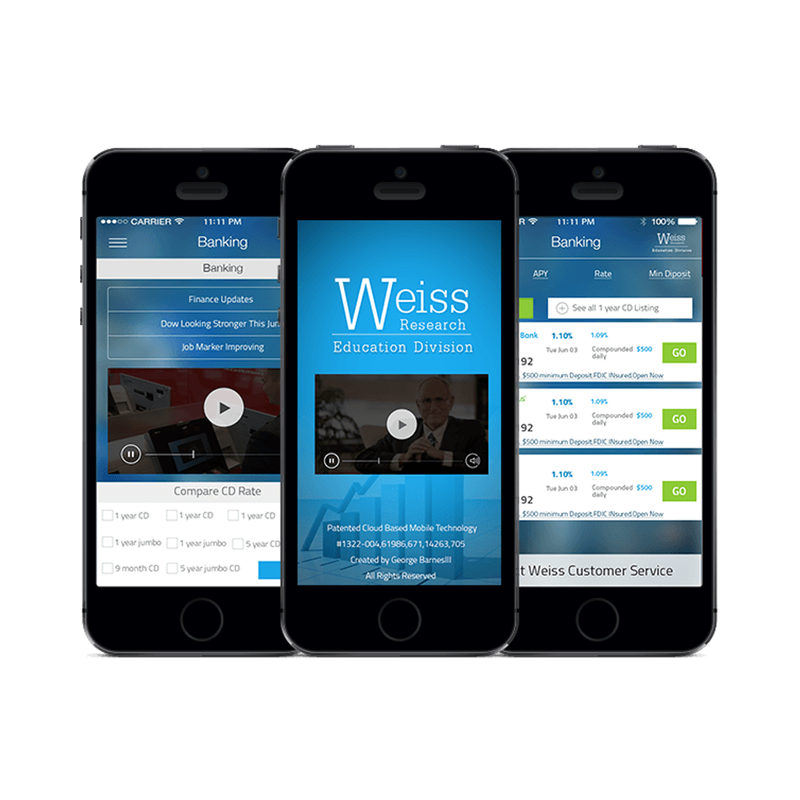 Weiss Mobile App is garnering great reviews across the world. We have received many inquiries after the release of Weiss Mobile App to make a clone for other local finance markets of specific countries. We are in the process of developing similar apps for markets of Europe, Asia and Pacific regions.